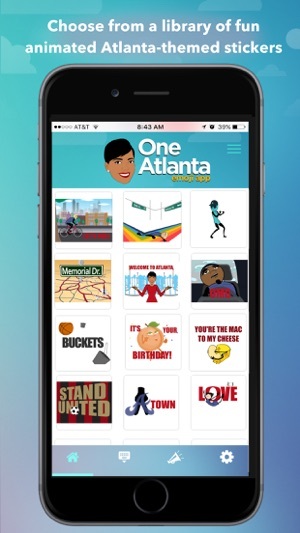 The City of Atlanta is proud to launch the One Atlanta Emoji App - composed of relatable animated emoji stickers which highlight residents’ shared experiences while promoting connectivity citywide! Sharing local expressions, ideas, and experiences are now just an emoji away! Mayor Keisha Lance Bottoms’ vision for One Atlanta is anchored in an appreciation for equity, diversity and inclusion and is dependent upon innovating fresh, new ways to communicate with residents. 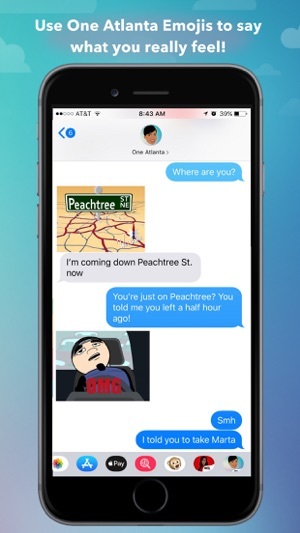 The One Atlanta emoji app offers a library of Atlanta-themed GIF stickers which foster a sense of collective culture and community pride. 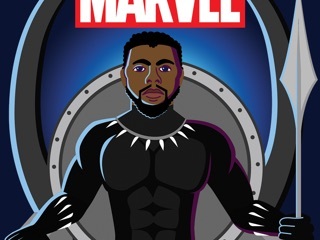 The animated stickers and icons celebrate the common experiences of a broad cross section of Atlantans while highlighting popular sentiments and familiar attractions that have influenced the conversation about Atlanta on the world stage. 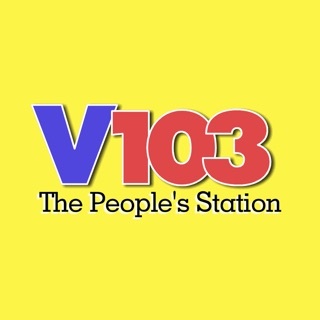 - Submit and vote on the next One Atlanta-themed emoji to be added to the collection with the “Suggest a New One Atlanta Emoji” button on the settings page! 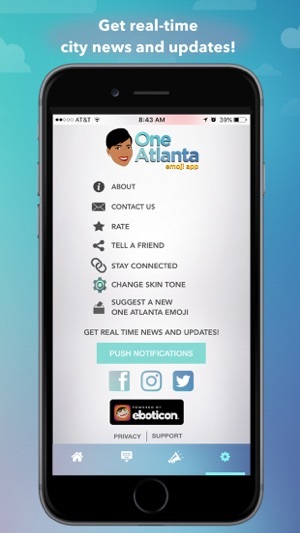 The City of Atlanta collaborated with local-based tech company Eboticon to create the One Atlanta Emoji App. As an emerging technology hub, Atlanta continues to strengthen its position as a global leader and has been named one of Forbes 5 U.S. Cities poised to become a future tech mecca. 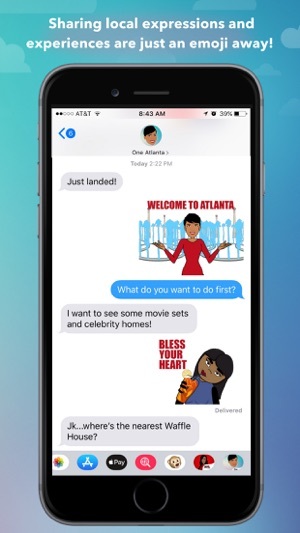 The development of the One Atlanta emoji app represents a new opportunity to solve modern challenges by leveraging the innovation of local tech companies. 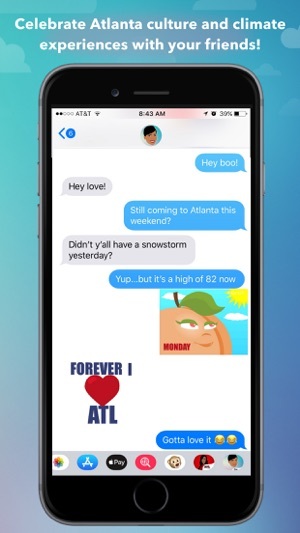 Communications is the key to connectivity, and connectivity is the key to truly becoming One Atlanta! So, the next time you want to spread Atlanta pride, culture, and ideas, save yourself a few characters and send a One Atlanta emoji instead! 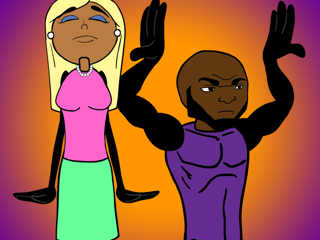 Within hours of my previous review, a bug fix update was sent and now resolved. Loving the app and the emojis. Since this is the units launch, it’s expected there will be a few bugs. Noticing that the emoji keyboard will “crash” (restarts to the beginning) if the app is having trouble loading the emojis. The big also occurs when in sticker mode. In a word...practical. What a witty way to keep the citizens of Atlanta informed. Hope leaders of more large cities take note. 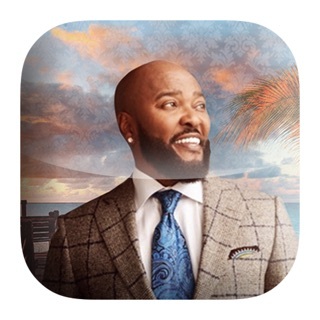 I love Atlanta (my home) and this app is the perfect mix of all I love. Can’t wait to share it with my friends! !